One of the first things I need to do when telling people about my book or teaching a mandala class is explain what a mandala is. I learned most of what I know from my brilliant mandala muse, Merry Norris, of MerryNovaStudio.com and Paul Heussenstamm of Mandalas.com. 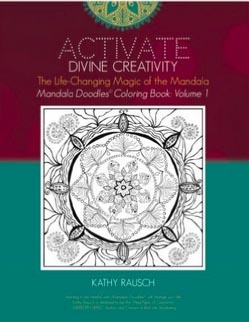 While writing Activate Divine Creativity: The Life-Changing Magic of the Mandala, I did a lot of research on this topic. 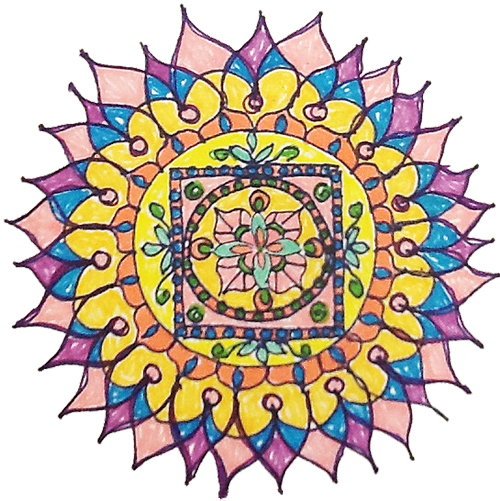 The most basic definition of a mandala is “circle.” Mandala is a Sanskrit word that literally translates to “circle”. Ok, then why don’t I just teach people how to draw circles? LOL!